The Animal Shelter, which is in the process of being refitted from a glass company building, may not be finished until May. Sapulpa Times met with Larry Griffin of D.C. Bass, at the back door of the site, and walked through the working area. First, the concrete work on the driveway was drying well, and the next move was for the City to lay asphalt in the parking lot. The “tedious work of attaching metal cladding over the exterior duct work” was being done on the back side of the facility. 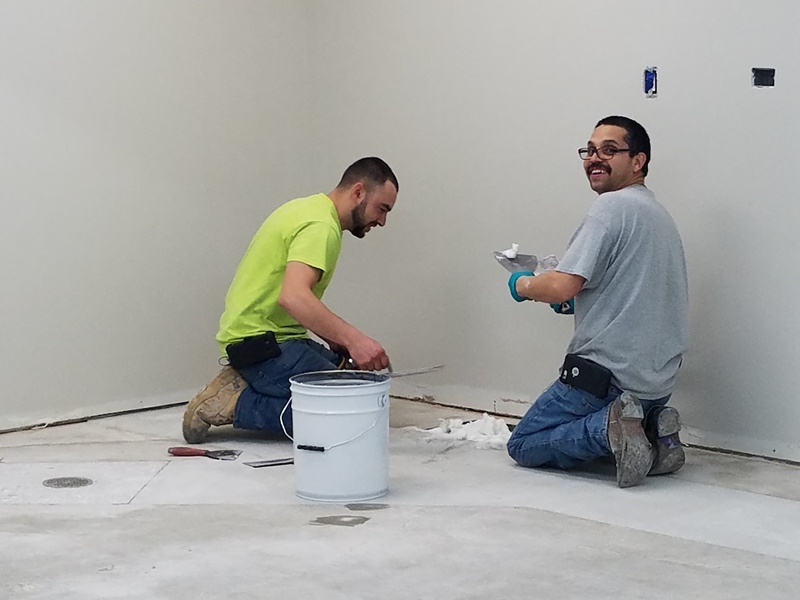 Next, “the floor and wall guys” were putting down resinous flooring which takes two weeks to cure. When asked what was taking so long to get finished, Griffin said the delays are no one’s fault, just unfortunate circumstances. The first few deadlines, December 2018 and then January 2019, were blown through by delays getting furniture and the cages. Inside, the walls are up, the painting is mostly done. In the large Canine Room, there are dozens of cans of paint waiting to be applied to the walls. The Feline Room is almost done, almost ready for furniture. There are two huge breaker boxes, and Griffin remarked that the shelter would never be out of power. After five years of waiting, more or less patiently, Sapulpa will finally have a new Animal Shelter. It will probably be open sometime in May. ← Do you remember…Research before Google?